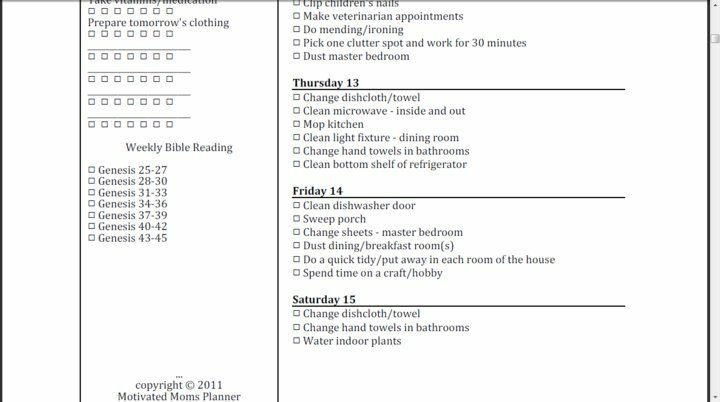 I just recently heard about this new way to organize your tasks on a daily/weekly basis and I had to share it with you. I am a list maker and like to write everything down that I need to get done. 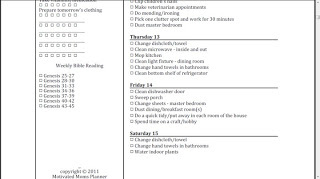 I think I found the perfect Chore Planning System to keep me on track. You can get this system for you too. Check out http://www.motivatedmoms.com/ and for only $8 you can have the whole year planned out for you. It automatically downloads right to your computer. I am super-excited to start this new plan out this week and get things more in order. Thanks to http://www.theconfidentmom.com/ for telling me about this great new planner! Motivated Moms has absolutely no idea who I am. I paid for my own planner and just wanted to share this great idea with you.